Get in the Xmas spirit this season and deck your walls with this gorgeous floral wreath that can last a lifetime! 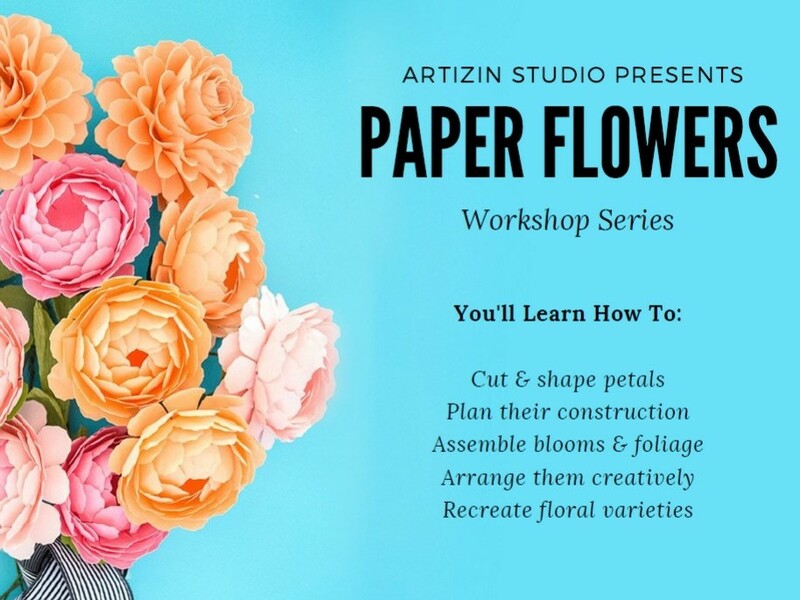 Join us for some creative magic as you acquire the skills and knowledge of paper folding + flower making to create paper daisies + roses. Our instructor will guide you from start to finish as you learn the tips and tricks on how to construct a wreath with these simply adorable paper blooms! 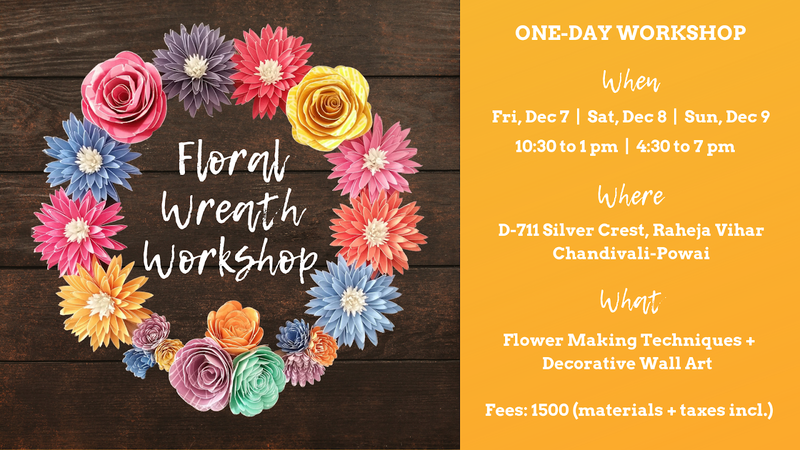 All materials for the workshop will be provided and you will leave with your floral wreath + the know how and inspiration to create more wreaths for any occasion! All workshop sales are final - no refunds or exchanges. Ticket sales will end 24 hours prior to workshop. Once you have successfully purchased the workshop, you should receive a confirmation for your seat. Please bring a copy of that email on the day of the workshop. If you do not receive a confirmation, that means that we do not have record of you for this workshop.